An environment where players must defeat others to progress. Getting players competing against each other can be really fun or really frustrating. 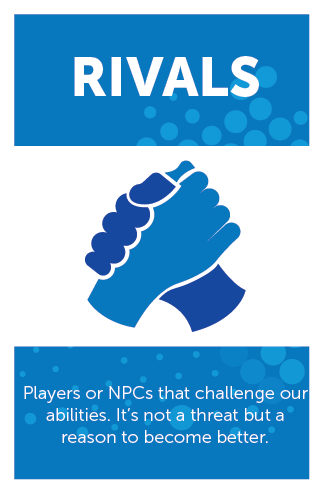 However, in gamification, when you allw your environment to offer threats that not only come from the system, players can be motivated to prove their worth. Comptetition is a good way to fire things up within a system and most of the time it will feel great to beat other players. Look at the olympics. Try to always find the activities where the players WANT to defeat others and use them for that.  There is only one rule when using mechanics in this category: Make sure the environment is FAIR for everyone. If not, you’ll get flooded with complaints. 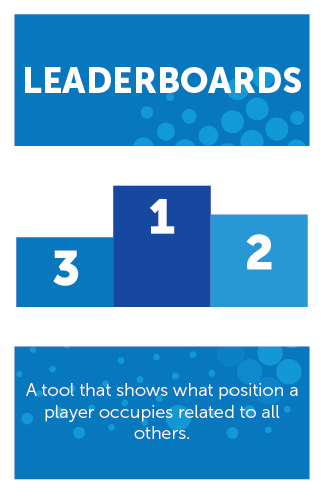 Part of the traditional PBL design, leaderboards are one of the most OVERUSED game mechanics. For too long people has thought that putting a ist of the position you have compared to other players is a great way to keep people motivated, however, it’s been proved over and over that leaderboards DEmotivate most of the time, not because the tool is a wrong but, because its ofently used in unfair situations. Leaderboards are WRONGly used when you have an ongoing table showing who’s better all along without helping players who entered late into the system. Think of the sales department where this has been used for ages, way before the word gamification was invented: The salesman who’s been there for 10 years and has the best clients and longest experience is easiy the one who beats all other players and the new ones will feel completely out of league when trying to be the best one. Since this is something that NATURALLY happens with a leaderboard, a good way to use it is by making sure everyone starts at the same spot. Everyne has the same conditions and opportunities to grow and everyone CAN reach the goal. When the difference between all players is only their ability, the leaderboard will prove to be a really effective tool. Contests usually use leaderboards to show who is better, however not always the case, the rule here is that someone must win. This connects to Core Drive 6 in the Octalysis framework SCARCITY. The key to a contest is that the reward has to be valuable to all players and it MUST be scarce. If everyone can get the reward, it’s not a contest. May the reward be the glory of having beaten all other players and be considered the best or may it be 1,000 coins, it doesn’t matter as long as the players need it. 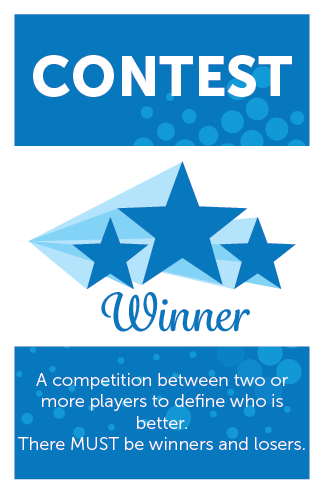 A good idea around contests is that players may compete against each other but, it can also become a source of income for them. When they run out of money, they can go to the ARENA to test their skills, get some money and come back to finish their journey. So a contest can be used as a grinding system for players to progress. Finding a rival is one of the best things that can happen to you. They aren’t enemies, they become a reflection of our own skills being used by someone else. A rival is someone we recognise the (aproximately) same level of skill and gives us a reason to defeat them. IF they pose a threat to the players, they can become an ENEMY, however the goal of this mechanic is to promote competition, not defeating the game. Think of a movie where the main character finds someone he needs to beat to keep going but, it’s not that they are the enemy, they just want to go in the same direction and defeating them is art of the progression. Most of the time, rivals become allies beacause they share the same goal temporarily and they are excellent reference to our own abilities. Get the players to find their rivals. May them be NPCs (Non Player Characters) or other players. Make sure they share the same goal but, not necessarily the same point of view. Also a very simple way of making sure they can be rivals is by pairing them up by level with opposite player-types/learning-styles. 6th position in the Gamification Gurus Power 100! 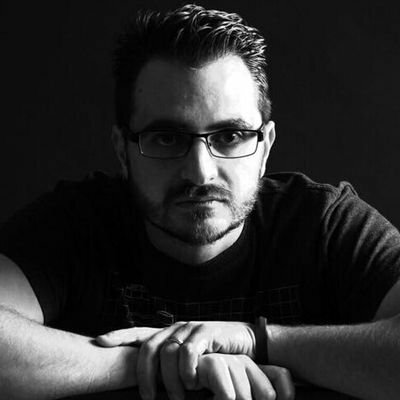 Gamification Keynote Speaker & the mind behind the operation @bluerabbit, a gamification platform for education. Declared a world wide war on grades.